This is a two piece set. 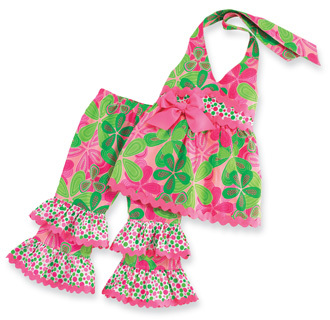 Set includes Multi Patterned Halter Top features Ric Rac trim, neck ties, flower icon and co-ordinating Ruffle Hem Pants. Please check sizing chart for Mud Pie in Questions and Answers.